Don't wait until the first deep freeze to prevent your skin from drying out -- that's already happening now the humidity is gone and the temperature is dropping. You don't have to change your whole routine, though. One or two of these six suggestions will tide you over until snow hits. Cooler temperatures (boo) and far less humidity = dehydrating skin and dimming glow. But you can fix that without overhauling your entire skincare regimen. Making one or two of changes from the following six can make your skin feel comfortable and look compliment-worthy. 1) Change Your CleanserÂ Switch to a softening cleanser that preserves skin&apos;s natural moisture as it de-grimes. That&apos;s the first step to more comfortable skin. The less you strip skin, the fewer products you need to use to put the moisture back. An oil cleanser is an excellent alternative even if you&apos;re oily -- it&apos;ll remove every trace of dirt and makeup and leave skin soft and bright. Korres Milk Proteins Foaming Cream Cleanser ($26 at Shoppers Drug Mart) is soap-free cream-to-foam wash enriched with water-binding milk proteins. Shu Uemura Skin Purifier Ultime8 Sublime Beauty Cleansing Oil ($98 at Holt Renfrew) is a mineral-oil-free blend of eight botanical oils including olive, jojoba, safflower and camellia. 2) Remember to ExfoliateÂ Regular exfoliation helps keep skin smooth and free of dry patches that can hinder moisturizer absorption. Exfoliating pads are quick, convenient, and you can swipe them over neck, dÃ©colletÃ© and backs of hands. Serious Skincare Glycolic Gommage Extreme Renewal ($38.50, theshoppingchannel.com) is a mask/exfoliant combo. Glycolic, lactic, phytic and malic acids gently encourage lazy dead cells to take a hike, and a polishing scrub buffs the skin as you rinse. 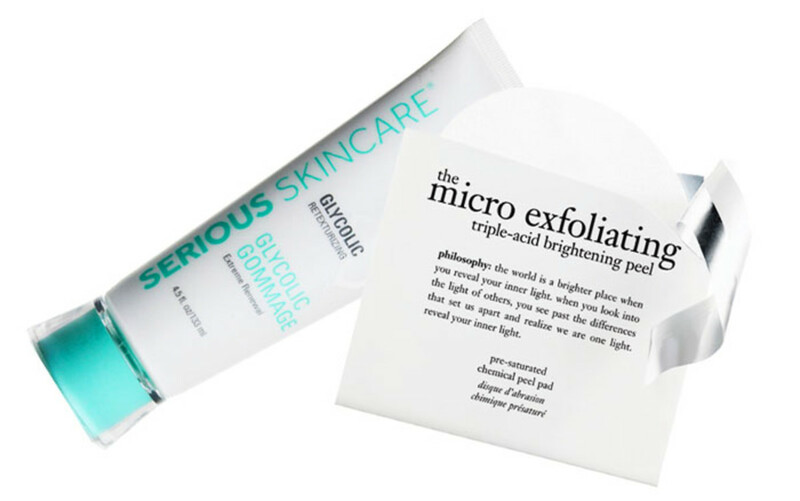 Philosophy The Microdelivery Triple-Acid Brightening Peel pads ($88 for 12 individually wrapped pads, at The Bay.com) employ mandelic acid (more gentle than AHAs) as well as brightening azelaic and phytic acid for radiant skin. 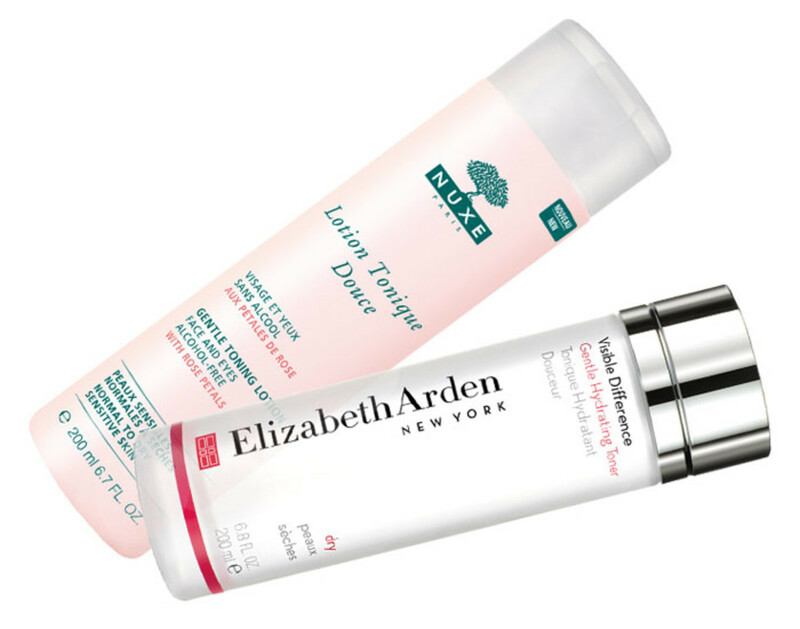 3) Get Down with TonersÂ Now more often formulated with skin-conditioning ingredients, toners prep skin for whatever you apply immediately afterward, while skin is still moist. Damp skin absorbs ingredients faster. Nuxe Gentle Toning Lotion Face and Eyes ($20 at mural.ca) contains rosa damascena water and glycerin to soothe skin and help it retain moisture. Arden Visible Difference Gentle Hydrating Toner ($24, at TheBay.com) attracts moisture with sodium hyaluronate, calms with chamomile extract, and refreshes with witch hazel. 4) Add a Potent ConcentrateÂ Slipping a serum into your routine is one of the most effective ways to up your skincare game without replacing everything you use. The right concentrated brew of ingredients will give skin a considerable boost, so you might not need to change from your regular moisturizer -- at least not until the first deep freeze. La Roche-Posay Hydraphase Intense Serum ($38.50 at drugstores) doses skin with soothing thermal spring water as well as hydration-enhancing hyaluronic acid, arginine and serine. 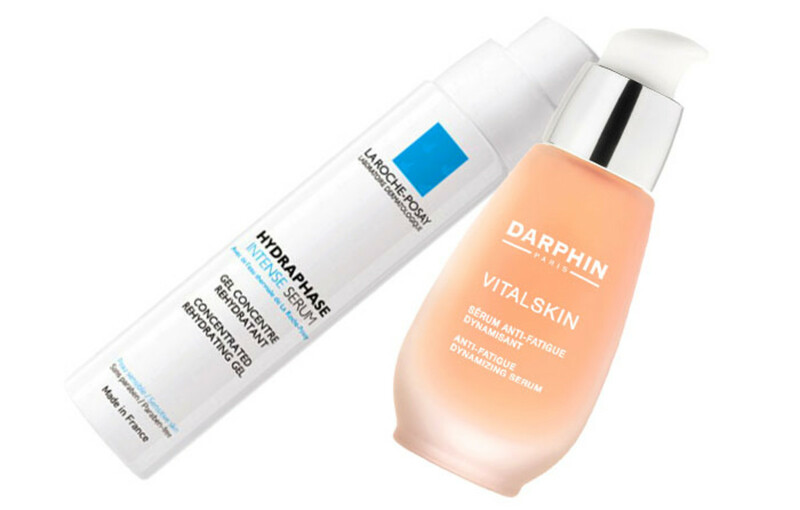 Darphin Vitalskin Anti-Fatigue Serum (from $144, murale.ca) is a time-release formula that, for eight hours, feeds tired skin wake-up botanical extracts such as laminaria digitata (brown algae) and sapindus mukorrossi, as well as Vitamins A and C.
5) Go from day lotion to day creamÂ If light lotion was your warm-weather go-to, try a cream moisturizer now that cooler breezes prevail. 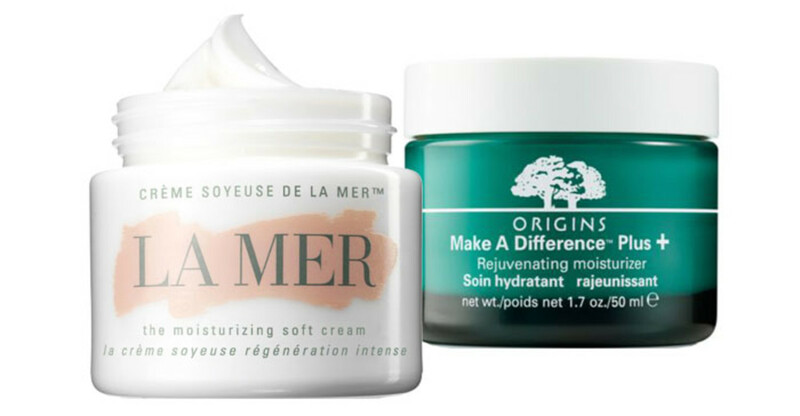 La Mer The Moisturizing Soft Cream ($170, at Holt Renfrew) is a lighter version of cult favourite La Creme. It contains the same energy-boosting Miracle Broth, rich in nutrients and antioxidants, but melts into skin with a satisfying hydrating finish that belies its weightless texture. Origins Make a Difference Plus+ Rejuvenating Moisturizer ($49, TheBay.com) targets thirsty skin with caspase-14, an enzyme that helps skin self-hydrate. 6) Use a night creamÂ Night formulations plump with extra-moisturizing ingredients while your sleeping skin is in repair mode -- you won&apos;t believe your glowing skin come morning. Olay Regenerist Micro-Sculpting Cream ($39, well.ca) is acknowledged as a superior moisturizer that firms and smooths; I prefer the Fragrance-Free version. Burt&apos;s Bees Intense Hydration Night Cream ($30, well.ca) is a 99% natural formula that looks to clary sage for its excellent ability to attract and hold onto moisture. Which step will you try first? Do you have a Fall-skincare go-to? A version of this story appeared in the October 4th print edition of The Kit. Download the PDF here.